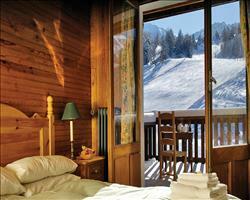 On a mountain-top facing Mont-Blanc, Aime la Plagne looks out over a ring of immaculate mountains. The hotel interior, is a tribute to this sublime setting: wood, stone and the pure lines of designer furniture ensure that it offers perfect comfort and hospitality, in an ambience designed to enhance the senses. In a great location at the foot of the slopes, the Club Med Resort is a paradise for lovers of sport and the great outdoors. After perfecting your technique in the snow park, you'll be ready for the pistes on the north face of the Bellecôte. Elevation: 2000 metres (6560 ft). Intermediate/advanced : "Special Teenagers Ski Programme"
If you have chosen a package with transport, it includes the return flights and transfers to the Resort. In harmony with the majesty of the natural environment, the hotel's 243 rooms (8 floors) are resolutely conteporary and original and at the same time warm and welcoming. 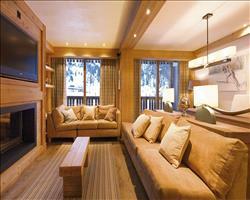 We update Club Med Aime la Plagne's details often, but facilities do change. e.g. some extras listed by the supplier as "free" or included might only be for the first time you use them, or for one time per party, then charged for further use. If any specific feature is essential to your holiday, make sure you ask us to confirm the details of it before you book your holiday. This all inclusive holiday to Club Med Aime la Plagne in La Plagne, France departs Sunday 29th December 2019, for a 7 night stay on a "all inclusive" board basis. A local tourist tax (Taxe de Sejour or Kurtaxe) is levied by many councils in European ski resorts. It varies by standard and type of accommodation and is age dependent, so not everyone is charged. It's not included in the basic price of your holiday and is usually paid locally. For reference, the average charged in winter 15/16 was between 50p and £2 per person, per night.
. 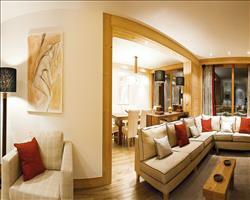 Ask for a quote when booking Club Med Aime la Plagne. 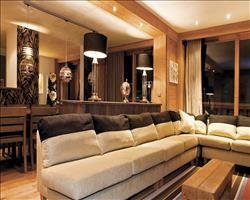 Club Med La Plagn... La Plagne France, Without Flights to Without Flights 29th December. "A terrific week with Club Med"
We had a terrific week. 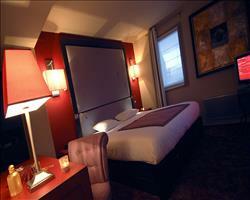 The accommodation was very comfortable, we were on the third floor and had no problems there. We got the last room which was wheelchair accessible accommodation – this actually benefitted us as we had a bigger room with more facilities (we had 2 en-suites). We enjoyed the rest of the hotel and the food was excellent, they do these all you can eat buffets for breakfast, lunch and dinner. If you pick the wrong time you spend a while looking for a seat which might be a problem for bigger groups. They had the coffee place and bar open for when people came in. Overall the staff were brilliant, always professional and thoroughly diligent with children as you’d expect. Certain areas were tired as it was getting so much footfall with children so bits like the sitting area were lived in. The location is ski-in and is quite far from the nightlife in main La Plagne, but the main focus is for families so this isn’t really a problem. We got a good deal and when we arrived it turned out to be the French school holidays, so there were very limited English speaking tourists staying here. This was fine for me and I got by with my ski group as a few of the members could speak English, but it was a bigger problem for my son who felt quite isolated. It was great to have all inclusive with full board meals and lessons – though they should add ski hire as part of the whole package. My daughter and I had a great week here, we really relaxed and I wish I was back there already! I would definitely recommend it to other families and highly commend the staff. All the food was really good, they had a huge selection and most nights had a theme as well. I thought they catered extremely well for my daughter. 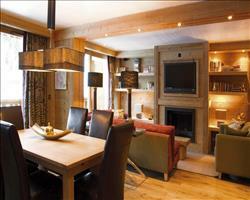 The location couldn’t be better as it’s right on the slopes so you can ski in and out. We used the ski school and the instructors were extremely good. Only downside was that our bedroom was absolutely tiny, we could hardly move in it! "Don't expect a lot for price"
We had a lovely time and found the hotel OK. We did visit the other Club Med hotel (there are 2 in La Plagne) and in the Aime La Plagne one the decor is really tired. Curtains and carpets were kind of worn and one corridor smelt of smoke. The staff were usual Club Med staff, trying to help you out all the time, which was lovely. Evening performances were very hi-de-hi! The food was OK, there was plenty of it. Mealtimes were a bit chaotic sometimes, they couldn’t always find a knife and fork for everyone and sometimes you struggled to find somewhere to sit. The convenience of getting skis and boots from the same place on site, then being able to walk straight out onto the slopes was fantastic. The people in the hire shop were great. I can’t comment on the childcare as my son didn’t need it, but the lessons were fantastic. All in all, I would advise not to expect too much for the price you pay but we still had a good week in La Plagne. We had a good week away in La Plagne overall, but Club Med isn’t my cup of tea! I piggy backed off a school trip so didn’t choose to stay here because it was Club Med, but instead because of the location. If you had lots of young children it would be different, but for us the children’s entertainment was too in your face – some of the young French GI’s were very nice but it just wasn’t our cup of tea. You couldn’t just have some bar time and relax because everything’s in the same room; the stage at one end and the bar at the other. The food side of things was good and I couldn’t complain about that – it was just the entertainment revolving around ten year olds that wasn’t so enjoyable.